mumbled "Flowing ~ New Poem"
I've been gone a while, but here is a new poem I've written - it's quite a personal one if you can't guess. mumbled "The Perfect Moment - NEW POEM"
After a long break from writing, here's my newest poem. Please give me your thoughts! 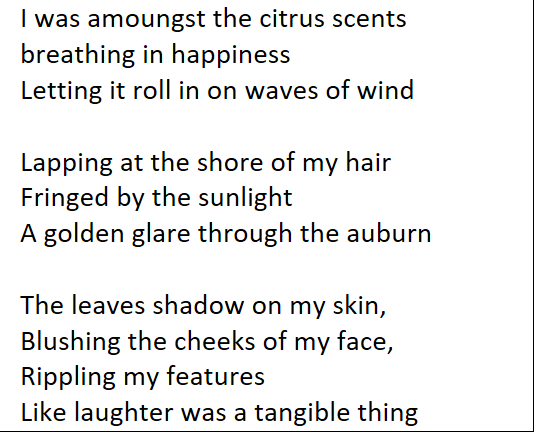 mumbled "NEW POEM - Oasis"
It's probably my most literal one so far, and by that I mean most understandable, obviously still steeped in metaphors! I don't think it's anything special, but it was sort of capturing a feeling. So please let me know what you think of it, good and bad and constructive crit welcomed.